Urs Eggenschwyler created numerous lion monuments in the City of Zurich. He was fascinated by the big cats. Zurich is a city of lions. This is due in no small part to the eccentric artist Urs Eggenschwyler. Eggenschwyler created big cats out of stone, but he also took them for a stroll from time to time. The lion in Zurich’s coat of arms has a long history. It dates back to the late Middle Ages, and has been used on heraldic crests, on coins and in numerous other representations since the end of the 15th century. Nowadays it’s ubiquitous – at sports clubs, on the Züri-Tram and, of course, on official papers. The fact that the lion is also present everywhere in the Zurich cityscape is linked to the eccentric sculptor Urs Eggenschwyler (1849-1923). A native of Solothurn, Eggenschwyler served an apprenticeship in drawing and sculpture in Zurich and later studied at the Academy in Munich. He was interested in animal illustrations, and menageries with live animals, from an early stage. Back in Zurich from 1878, he created, among other things, centrepieces for craft guilds and above all representations of lions for public spaces. The sculptures on the Stauffacher bridge are by Eggenschwyler. But the eccentric artist didn’t stop at reproductions. At the Milchbuck, he set up a menagerie containing exotic animals such as bears, leopards, hyenas and, of course, lions. Lake Zurich completely frozen over at Mythenquai, around 1929. At the centre is Urs Eggenschwyler’s lion monument. Urs Eggenschwyler with his favourite lioness, Grete. While Eggenschwyler was fascinated by all predators, he had a clear favourite: the king of the beasts. He often strolled through the city with his lions, and is even said to have stopped in at an open-air restaurant every now and then. However, this quickly got him into trouble with the police. The officers feared for public safety, and banned him from walking his lions. So Eggenschwyler took to going on his walkabouts at night. If he ever encountered anyone on these walks, he would say his dog was just very big. 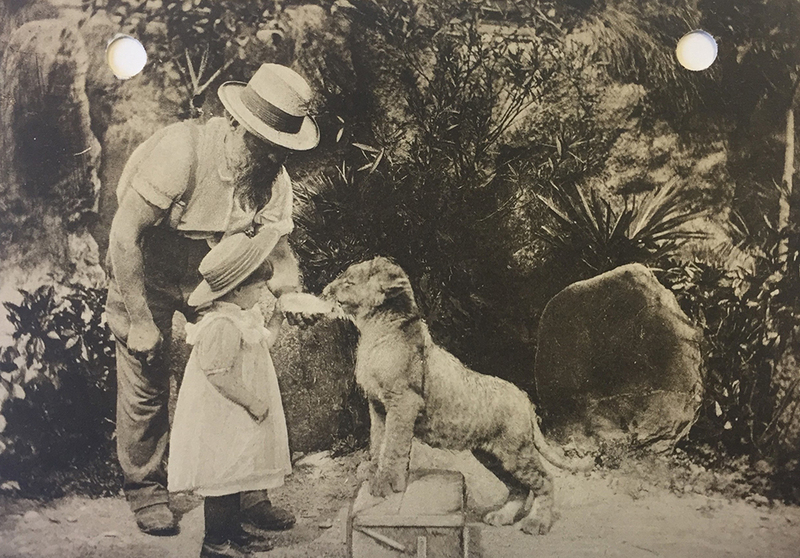 After his death – Eggenschwyler died in 1923 during construction of the lion monument in Lucerne – some of his animals were adopted by the newly opened Zurich Zoo in 1929. 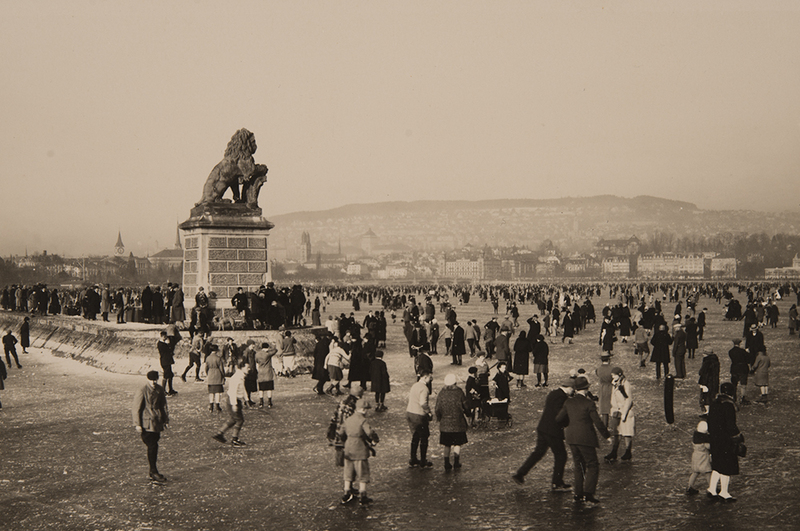 In his monumental lions, the artist lives on in Zurich today. The City and Canton of Zurich have a long and chequered history. This will be showcased in a permanent exhibition at the National Museum. From the model of a pile dwelling hut to the muesli grater and the flag of a youth movement, the show puts Zurich's rich past in the spotlight and brings an added dimension to the numerous historical objects with cinematic installations and state-of-the-art technology giving visitors a multimedia experience. 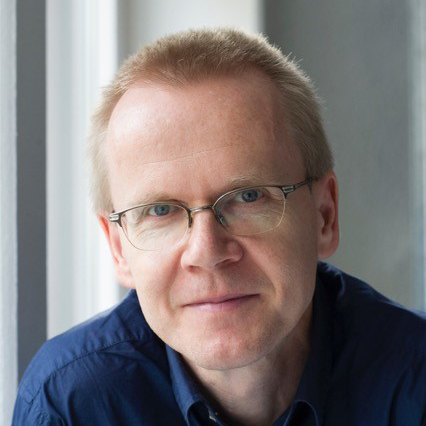 Bruno Meier is historian, curator and publisher.